My primary intention is to share with fellow colleagues my past struggles with manual therapy (MT), and describe how I was needlessly and unjustifiably made to feel incompetent for the initial 10 years of my career as a physical therapist (PT). My hope is that by sharing my personal experience and by presenting the multitudes of supporting evidence, I can help clinicians apply MT with greater confidence and never again feel inept for not feeling tiny, irrelevant spinal movements. The second intention of this paper is to encourage clinicians who rely on various intricate MT skills for patient assessment to question themselves. Are the MT assessment techniques that they utilize reliable or valid? I will not, however, be discussing the potential benefits of MT treatments as there is certainly some evidence supporting the use of MT for various musculoskeletal conditions such as neck pain (Schroeder et al 2013) and low back pain (Slater et al 2012). The third intention of this paper is to provide clinicians who use MT plausible explanations for the effectiveness of MT, which should be based on our latest understandings of pain neurophysiology. I will be arguing that previous explanations for the efficacy of MT based on biomechanics is severely flawed, outdated and arguably a hindrance to patient care. Various musculoskeletal health care providers, such as physical therapists, chiropractors and osteopaths, have long used various MT techniques to evaluate and treat their patients. The MT evaluations are often based on skillful evaluation of joint movements referred to as motion palpation. Following accurate motion palpation tests, the clinician then provides specific MT interventions based on joints and/or tissues found to be restricted into a particular direction. The “palpable lesions” that are searched for and identified have been given different names based on training. For instance, chiropractors refer to them as “subluxations”, osteopaths refer to them as “somatic dysfunctions” and PTs refer to them as “locked or hypomobile joints”. MT treatments can range from spinal manipulation (e.g. L4-5 thrust into left rotation) to craniosacral therapy (e.g. movement of the temporal bone of the skull with extremely gentle pressure). Somewhere in between is the most frequent method of MT used by PTs: mobilizations (e.g. PAs on T5-6 right facet joint, SNAG C1-2 right rotation). 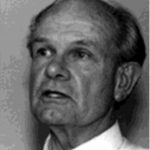 Geoffrey Maitland is considered a pioneer and the founding father of MT for PTs. 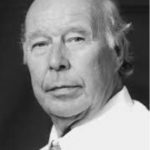 Over four decades ago he proposed the use of motion palpation skills such as Passive Intervertebral Movements (PIVMs) and Passive Accessory Movements (PAMs) with the objective of indentifying end-feels (Maitland 1986). 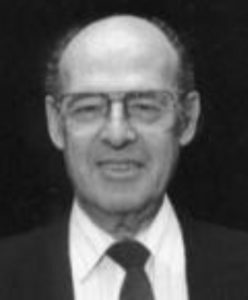 Freddy Kaltenborn, another greatly influential PT, proposed concave-convex rules which MT evaluation and treatments are to be based on (Kaltenfborn 1975). During my entry level PT program, I was taught that movements occurring at various joints in the human body such as L5-S1 zygapophyseal joints can be classified into having normal mobility, hypermobility or hypomibility into flexion, extension, side flexion or rotation. This seemed like a fair and logical approach to MT. 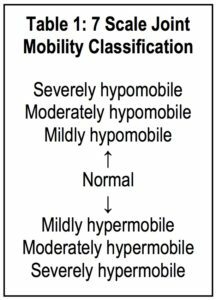 Basically, if a specific joint was hypomobile into flexion we should focus on improving its mobility into flexion however if a joint was hypermobile we should brace it or stabilize it with various exercises. If my MT education had stopped there, MT would not have been as intimidating. Upon graduation and pursuing further MT training the simple 3 option motion classification increased to 7 (Table 1). As a student, when I anecdotally compared what I felt with my fellow classmates, I thought I was hopeless at it. I would feel “nothing” unusual at C4-5 while my MT instructors and colleagues would feel moderate hypomobility at C4-5 into left rotation. When they assessed mobility at L5, I felt “nothing” but my MT instructors felt mild hypermobility at L5-S1. I would then ask, “How can I differentiate if the restriction I am feeling is truly a joint issue and not muscle tone from a pain or fear response?”. With eagerness I continued on with more advanced MT courses. The difference now was instead of a measly 7 scale, I now had the bonus addition of plus or minus after each category. For instance, moderately hypomobile+ versus moderately hypomobile. I recall thinking to myself, “Are you kidding me? I could barely categorize joint movements into 3 categories, normal, hypo or hyper and now with the addition of the plus and minus I am expected to categorize few millimeters of movement into 13 potential classification categories?” Never mind the fact that I have to palpate all of this through significant soft-tissues and potential muscle tone. Based on the assurance of my well experienced MT instructors, whom I trusted, I persisted and eagerly continued my attempts at “feeling” PIVMs and PAMs. I honestly and truly tried to feel PIVMs and whenever I questioned my instructors they told me that I would get better in time and that it was similar to reading Braille; with practice, people can excel at reading by feeling tiny protruding dots on a piece of paper. After completing all the advanced MT courses and successfully passing the exams, I felt like a fraud. I had passed the exams by simply bullshitting that I could feel fine small movements in the spine and that I could treat a patient based on the fine movements that I had just felt with my supposedly extremely sensitive hands. The challenge was that I desperately wanted to “feel” something as everyone else seemed to be able to feel. Why was I so incompetent? How could I possibly ever be a good PT if I could not “feel” PIVMs in the cervical spine and detect C4-5 right side flexion hypomobility? I kept asking myself, when will I ever be able to read spinal Braille?! While completing my traditional MT program in the 1990’s I was also simultaneously completing my McKenzie program. 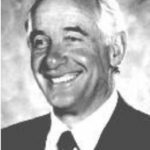 The Robin McKenzie method of evaluation and treatment was quite different than the MT concepts I was learning and, in fact, mostly contradictory. The McKenzie spinal evaluation did not involve any PIVMs or PAMs, as treatment was based on listening to the patient about how they felt following certain postures and repeated movements (McKenzie & May 2003). What a novel concept! Instead of deciding with my hands and feeling for hypomobility or hypermobility, I could simply ask the patient the right questions that would confirm or rule out directional preference, this seemed so logical. Nonetheless, I was still adamant about eventually “feeling” PIVMs and PAMs. While training in Australia in 1999, I also had the privilege of being introduced to MT concepts proposed by Brian Mulligan (Mulligan 1999). I devoured the Mulligan concepts as he also ignored PIVMs and PAMs. MT location, direction and force are based on constant communication with the patient and observing for instant objective changes. globally evaluate and “feel” if the thoracic spine is stiff but I am now far less specific. I divide the thoracic spine into three sections; upper, middle or lower (instead of 12 sections) and I may find that the lower thoracic spine (T9-12) is hypermobile but the upper (T1-4) and the middle (T5-8) thoracic spine sections are hypomobile into extension. Repeated studies have concluded that identifying lesions by motion palpation is not reliable (Huijbregts et al 2002, Nyberg et al 2013, Seffinger at al 2004). Even if MT evaluation was hypothetically shown to have adequate reliability, its validity remains questionable as there is no correlation between feeling of segmental mobility and motion measured by dynamic MRI (Landel et al 2008). If treatments are primarily based on identifying the specific lesion using MT, and if studies have now repeatedly demonstrated that clinicians cannot agree on the “lesion” that requires treatment, then the whole system collapses. The poor reliability and validity of MT evaluation is not limited to PTs but has been shown to be poor among chiropractors (Hestbaek et al 2000, Haneline et al 2009) and osteopaths (Stovall et al 2010). In addition to motion palpation tests being unreliable, relatively simple osteopathic palpation of bony landmarks for the detection of asymmetries have also been shown to have low reliability (Pattyn et al 2014, Stovall et al 2010). This puts a damper on things when the primary philosophy of osteopathy is the palpation, detection and treatment of asymmetries and restrictions (Seffinger et al 2003). If specific MT treatment is based primarily on unreliable and invalid MT assessment techniques, the specific treatment becomes a sham. This does not necessary mean that the MT treatments are ineffective, but it does mean that the potential benefits are irrelevant to the MT motion palpation assessment findings. What if MT treatments such as mobilizations or manipulations were applied on random spinal levels into random directions instead of on specific levels into specific directions? Would patient outcomes be similar? There are now a number of studies showing similar benefits among patients receiving “therapist selected” and “randomly selected” mobilizations or manipulations. Both groups seem to show equal short-term improvements as long as they receive any MT (Donaldson et al 2016, de Oliveira et al 2013, Chiradejnant et al 2003, Aquino et al 2009). You may think that I am cherry picking the studies for this paper, but a literature review thus far will fail to provide a single study supporting the superiority of specific MT techniques over random, non- specific MT; all studies to date have reached the same results which discredit the superiority of MT based on motion palpation. Firstly, studies have demonstrated adequate inter-rater reliability among PTs with detecting painful segments using PAMs (Nyberg et al 2013, Maher et al 1994). Secondly, it is important for me to evaluate the degree of tenderness present in the spine; patients with osteoporosis and severe palpable tenderness may require further radiological investigations whereas those with little tenderness with strong palpation may safely be given an intensive exercise program. Thirdly, if the tenderness is localized to only one or two spinal segments (e.g. L4-L5), they may be presenting with localized nociceptive pain. If the tenderness is along the entire spine (T1-L5), either an inflammatory condition or central sensitization may be present (e.g. ankylosing spondylitis, fibromyalgia). The fourth reason I continue to feel my patients’ spine using PAMs is that while I am performing the spinal PAs and asking the patient regarding tenderness, I automatically get a sense if their spine is generally stiff (e.g. a 50 year old male construction worker) or very mobile (a 17 year old gymnast). There are studies supporting the use of PAs for determining if a patient is more likely to benefit from lumbar manipulation or from stabilization based on if they are stiff or hypermobile respectively (Childs et al 2004, Hicks et al 2005). It is important to state the PTs in these studies did not attempt to either identify a specific level or grade the mobility, they simply had to judge if the spine had any stiff levels or not. The final and perhaps the most important reason I use PAMs is to gain my patients’ confidence as a health care provider. Trust is gained when the patient perceives that I am looking for their pain and that I genuinely care about finding and addressing their pain. Let’s do a short True or False quiz on MT based on the best available evidence to date. I fully appreciate that some clinicians who have devoted years of their life training and learning MT may not agree with the answers to the questions below. I am afraid it is not a matter of opinion; the answers are based on studies published in peer-reviewed journals. 1. Spinal manipulations applied to the cervical, thoracic and lumbar spine affect a local single segment. The truth is that studies show that the majority of times the targeted specific level is not manipulated and that MT affects not only different levels, but multiple levels and even levels on the opposite side of the targeted joint (Dunning et al 2013, Ross et al 2004). Studies have also shown that pain reduction following joint mobilizations is not specific to the vertebral level being mobilized (Aquino et al 2009, Huisman 2013). 2. A cavitation/an audible click is necessary for an effective patient outcome. Studies show than an audible click during a manipulation procedure appears to be irrelevant (Flynn et al 2013, Child et al 2004). 3. MT techniques are effective only if they are specifically applied to the level requiring treatment and this is based on clinical evaluation; one cannot simply randomly apply MT to any level and expect a positive patient outcome. A comprehensive meta-analysis reported that MT techniques applied to “therapist-selected” segments in the spine were as beneficial as a MT techniques applied to “randomly selected” segments (Hegedus et al 2011). 4. In order to be effective, MT must be applied over the specific painful spinal levels. Studies have demonstrated that identical results are achieved irrespective of if MT is provided to non-painful segments or specific painful levels (Aquino et al 2009, De Oliveira et al 2013, Schomacher 2009). In fact, studies have shown similar pain relieving benefits for patients with neck pain when MT is applied to their thoracic region versus MT applied to the actual painful and restricted cervical spine (Huisman et al 2013, Cleland et al 2005). A systematic review (Young et al 2014) supports the effectiveness of applying MT at segments remote to the actual painful and restricted segments- therefore local motion palpation becomes irrelevant, even if it could be reliably detected; which it cannot! biomechanical rules. Infact, there are studies to contradict these rules. For example, patients with restricted shoulder lateral rotation receiving posterior glides (contradicting biomechanical rules) demonstrated significantly better outcomes when compared to those receiving anterior glides (based on biomechanical rules) (Johnson et al 2007). randomized to receive either a global, non-specific lumbopelvic manipulation technique or a specific lumbar gap manipulation technique based on lumbar biomechanics and locking. The two manipulation techniques used in this study were equally effective at reducing pain and disability (Sutlive et al 2009). 6. Specific MT based on motion palpation skills is superior to independently performed exercises. Systematic reviews have concluded that both MT applied based on motion palpation and independent exercises are equally effective in the management of cervical pain (Gross et al 2007) and lumbar pain (Rubinstein et al 2013). 7. The human body is so delicate that a single stiff/hypomobile segment in the spine can affect the body in a detrimental way that it must be found and treated with MT. Let us be logical here. Homo sapiens have been on this earth for a couple of hundred thousand years and our primate ancestors have been around for a few million years. 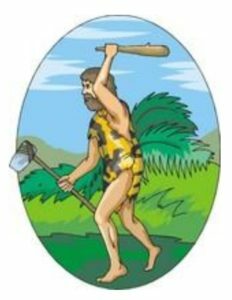 If, as a species, we have successfully survived through and have managed to adapt to harsh climates, extreme physical challenges and hunger, is it possible that we are unable adapt to a few stiff spinal segments? When patients are informed that their spine is somehow damaged, unstable, out of alignment, or locked following motion palpation tests, their locus of control is transferred externally which means their condition can only be treated by a health care provider who must “fix” the problem. When compared to those who have an external locus of control with respect to managing their pain, patients who are educated on having an internal health locus of control, have been shown to have superior recovery with respect to pain and function (Coughlin et al 2000, Keedy et al 2014). An advantage of both Mulligan and McKenzie approaches to MT is that the need for segmental motion palpation is eliminated and focus is placed on empowering the patient to perform their own independent exercise program on a regular basis to help in their recovery. 8. The ideal functioning and pain-free human body must have “normal” segmental joint mobility. The fact is that there is no such thing as “normal segmental mobility” as there is large variability among asymptomatic population with respect to lumbar mobility (Bible et al 2010a, Hayes et al 1989) and cervical mobility (Bible et al 2010b). A consideration before accepting that a single hypomobile segment can possibly be a culprit for pain during functional activities is that studies have shown that we use a relatively small percentage of our full spinal ROM when performing activities of daily living (Bible et al 2010a, Bible et al 2010b). 9. The primary benefit of MT is its effectiveness in the “breaking down” of adhesions and the reversing of subluxations. It is easy for clinicians to perceive the benefits seen following the application of any MT to be directly the result of the MT technique. However a meta-analysis shows us that as little as 3% of pain relief can be attributed to the actual MT treatment and the rest can be attributed to natural history, patient motivation and expectations maximized by re-assurance (Menke et al 2014). Studies have shown that the forces applied during MT are not sufficient enough to cause lasting changes in connective tissue, therefore the hypothesis that MT helps the breaking up of “adhesions” is not supported (Chaudhry et al 2008, Threlkeld 1992). Furthermore, contrary to common belief, manipulation does not alter position of joints or reverse so called “subluxations” (Tullberg et al 1998). 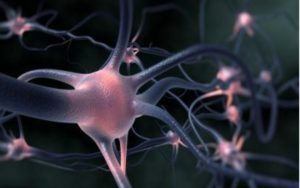 Emerging evidence supports the hypothesis that MT produces a non-specific neurophysiological effect that may better explain the modulation of pain and muscle tone via the central nervous system (CNS) (Bialosky et al 2013, Bialosky et al 2009, Schleip 2003). The inhibition of nociception has been proposed to occur at the periaqueductal gray (PAG) and the rostroventral medulla (RVM) of the CNS (Bialosky et al 2011). It is time for those practicing MT to accept and incorporate the bio-psycho-social and the neuromatrix model of pain perception as proposed by Ron Melzack (Melzack 2005). In the past decade, our understanding of pain neurophysiology has exponentially grown, contradicting the purely mechanical approach of treating pain using MT. The outdated concepts that treated the human body as if it were a mechanical machine based on detecting tiny, specific, movement loss must be rejected. 10. The majority of manual PTs accept the evidences that disprove the reliability and validity of motion palpation tests. A survey paper (Abbot et al 2009) involving almost five hundred manual PTs in New Zealand and United States reported that 76% believed that PIVMs were valid tests for assessing quantity of segmental motion. In addition 98% of manual PTs stated that they rely on segmental motion tests for applying MT as a treatment. Abandoning our reliance on motion palpation tests is not synonymous with abandoning MT; it is about listening to the patient’s response to MT instead of focusing on detecting minuscule segmental dysfunctions. Once we accept the evidence supporting the fact that MT has far less mechanical but primarily neurophysiolocal effects, we can potentially enhance MT effectiveness with that knowledge. In one study (Bialosky et al 2014), patients with low back pain were randomly assigned to one of three groups i) Lumbar manipulations ii) Placebo manipulations iii) Placebo manipulations with a re-assuring sentence, “The manual therapy technique you will receive has been shown to significantly reduce low back pain in some people”. All 3 groups had similar immediate and 2-week outcomes with respect to pain and disability. However, the patients receiving the placebo MT with the simple re-assuring sentence had the greatest level of satisfaction with their treatment. maximizing the potential benefits from MT for my patients. Having been “freed” from the shackles of motion palpation, I now apply MT with greater confidence which is inevitably sensed by my patients, further enhancing the neurophysiological effects of any MT technique I choose to apply. Having abandoned focusing on assessing and treating my patients based on irrelevant biomechanics or motion palpation, I have embraced the hypothesis that my MT techniques have primarily non-mechanical and non-specific benefits. I apply MT in order to facilitate movement, stimulate proprioception, increase body awareness and most importantly reassure. 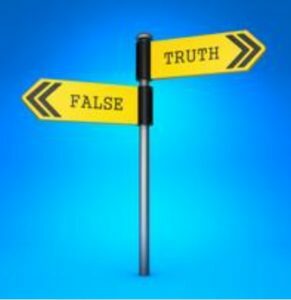 There will always be evidence-deniers in every profession, but the majority of manual PTs appear to be refusing to accept evidences disproving manual motion testing. Although it may be difficult, it is essential for health care providers to embrace emerging evidence and move forward which in turn will inevitably benefit the patients we aim to serve. 1. Abbott JH, Flynn TW, Fritz JM, Hing WA, Reid D, Whitman JM. Manual physical assessment of spinal segmental motion: intent and validity. Man Ther. 2009 Feb;14(1):36-44. 2. Aquino RL, Caires PM, Furtado FC,. Applying Joint Mobilization at Different Cervical Vertebral Levels does not Influence Immediate Pain Reduction in Patients with Chronic Neck Pain: A Randomized Clinical Trial. J Man Manip Ther. 2009 Apr 1;17(2):95–100. 3. Bialosky JE, Bishop M, George S, Placebo response to manual therapy: something out of nothing? J Man Manip Ther. 2011 Feb;19(1):11–9. 4. Bialosky JE, Bishop MD, Price DD, Robinson ME, George SZ. The Mechanisms of Manual Therapy in the Treatment of Musculoskeletal Pain: A Comprehensive Model. Man Ther. 2009 Oct;14(5):531–8. 5. Bialosky JE, George SZ, Horn ME, Price DD, Staud R, Robinson ME. Spinal manipulative therapy-specific changes in pain sensitivity in individuals with low back pain. J Pain. 2014 Feb;15(2):136-48. Disord Tech. 2010 Apr;23(2):106-12.7. Bible JE(b), Biswas D, Miller CP, Whang PG, Grauer JN. Normal functional range of motion of the cervical spine during 15 activities of daily living. J Spinal Disord Tech. 2010 Feb;23(1):15-21. 7. Bible JE(b), Biswas D, Miller CP, Whang PG, Grauer JN. Normal functional range of motion of the cervical spine during 15 activities of daily living. J Spinal Disord Tech. 2010 Feb;23(1):15-21. 8. Chaudhry H, Schleip R, Ji Z, Bukiet B, Maney M, Findley T. Three-Dimensional Mathematical Model for Deformation of Human Fasciae in Manual Therapy. JAOA J Am Osteopath Assoc. 2008 Aug 1;108(8):379–90. 9. Childs JD, Fritz JM, Flynn TW, Irrgang JJ, Johnson KK, Majkowski GR, Delitto A. A clinical prediction rule to identify patients with low back pain most likely to benefit from spinal manipulation: a validation study. Ann Intern Med. 2004 Dec 21;141(12):920-8. 10. Chiradejnant A, Maher CG, Latimer J, Stepkovitch N. Efficacy of “therapist- selected” versus “randomly selected” mobilisation techniques for the treatment of low back pain: a randomised controlled trial. Aust J Physiother. 2003;49(4):233- 41. 11. Cleland JA, Childs JD, McRae M, Palmer JA, Stowell T. Immediate effects of thoracic manipulation in patients with neck pain: a randomized clinical trial. Man Ther. 2005 May;10(2):127– 35. 12. Coughlin AM1, Badura AS, Fleischer TD, Guck TP. Multidisciplinary treatment of chronic pain patients: its efficacy in changing patient locus of control. Arch Phys Med Rehabil. 2000 Jun;81(6):739-40. 14. Donaldson M, Petersen S, , et al A Prescriptively Selected Non-Thrust Manipulation Versus a Therapist Selected Non-Thrust Manipulation for Treatment of Individuals With Low Back Pain: A Randomized Clinical Trial. J Orthop Sports Phys Ther. 2016 Mar 8:1-29. 15. Dunning J, Mourad F, Barbero M, Leoni D, Cescon C, Butts R. Bilateral and multiple cavitation sounds during upper cervical thrust manipulation. BMC Musculoskelet Disord. 2013 Jan 15;14:24. 16. Flynn TW, Fritz JM, Wainner RS, The audible pop is not necessary for successful spinal high-velocity thrust manipulation in individuals with low back pain. Arch Phys Med Rehabil. 2003 Jul;84(7):1057–60. 17. Gross AR, Goldsmith C, Hoving JL, Haines T, Peloso P, Aker P Conservative management of mechanical neck disorders: a systematic review. J Rheumatol. 2007 May;34(5):1083-102. Epub 2007 Jan 15. 18. Haneline MT, Young M. A review of intraexaminer and interexaminer reliability of static spinal palpation: a literature synthesis. J Manipulative Physiol Ther. 2009 Jun;32(5):379-86. 19. Hayes MA1, Howard TC, Gruel CR, Kopta JA. Roentgenographic evaluation of lumbar spine flexion-extension in asymptomatic individuals. Spine (Phila Pa 1976). 1989 Mar;14(3):327-31. 20. Hegedus EJ, Goode A, Butler RJ, Slaven E. The neurophysiological effects of a single session of spinal joint mobilization: does the effect last? J Man Manip Ther. 2011; 19: 143– 151. 21. Hestbaek L, Leboeuf-Yde C. Are chiropractic tests for the lumbo-pelvic spine reliable and valid? A systematic critical literature review. J Manipulative Physiol Ther. 2000 May;23(4):258-75. 22. Hicks GE, Fritz JM, Delitto A, McGill SM. Preliminary development of a clinical prediction rule for determining which patients with low back pain will respond to a stabilization exercise program. Arch Phys Med Rehabil. 2005 Sep;86(9):1753- 62. 23. Huijbregts PA. Spinal Motion Palpation: A Review of Reliability Studies. J Man Manip Ther. 2002 Jan1;10(1):24–39. 24. Huisman PA, Speksnijder CM, de Wijer A. The effect of thoracic spine manipulation on pain and disability in patients with non-specific neck pain: a systematic review. Disabil Rehabil. 2013 Sep;35(20):1677–85. 27. Keedy NH, Keffala VJ, Altmaier EM1, Chen JJ. Health locus of control and self- efficacy predict back pain rehabilitation outcomes. Iowa Orthop J. 2014;34:158-65. 28. Landel R, Kulig K, Fredericson M, Li B, Powers CM. Intertester reliability and validity of motion assessments during lumbar spine accessory motion testing. Phys Ther. 2008 Jan;88(1):43–9. 29. Maher C, Adams R. Reliability of pain and stiffness assessments in clinical manual lumbar spine examination. Phys Ther. 1994 Sep;74(9):801–809; discussion 809–811. 32. Melzack R Evolution of the neuromatrix theory of pain. The Prithvi Raj Lecture: presented at the third World Congress of World Institute of Pain, Barcelona 2004. Pain Pract. 2005 Jun;5(2):85-94. 35. Nyberg RE, Russell Smith A. The science of spinal motion palpation: a review and update with implications for assessment and intervention. J Man Manip Ther. 2013 Aug;21(3):160–7. 36. Pattyn E, Rajendran D2. Anatomical landmark position–can we trust what we see? Results from an online reliability and validity study of osteopaths. Man Ther. 2014 Apr;19(2):158-64. 37. Ross JK, Bereznick DE, McGill SM. Determining cavitation location during lumbar and thoracic spinal manipulation: is spinal manipulation accurate and specific? Spine. 2004 Jul 1;29(13):1452– 7. 38. Rubinstein SM, Terwee CB, Assendelft WJ, de Boer MR, van Tulder MW. Spinal manipulative therapy for acute low back pain: an update of the cochrane review. Spine (Phila Pa 1976). 2013 Feb 1;38(3):E158-77. 39. Schleip R. Fascial plasticity – a new neurobiological explanation: Part 1. J Bodyw Mov Ther. 2003 Jan 1;7(1):11–9. 40. Schomacher J. The Effect of an Analgesic Mobilization Technique When Applied at Symptomatic or Asymptomatic Levels of the Cervical Spine in Subjects with Neck Pain: A Randomized Controlled Trial. J Man Manip Ther. 2009 Apr 1;17(2):101–8. 41. Schroeder J, Kaplan L, Fischer DJ, Skelly AC. The outcomes of manipulation or mobilization therapy compared with physical therapy or exercise for neck pain: a systematic review. Evid Based Spine Care J. 2013 Apr;4(1):30-41. 42. Seffinger MA, Najm WI, Mishra SI, Adams A, Dickerson VM, Murphy LS, et al. Reliability of spinal palpation for diagnosis of back and neck pain: a systematic review of the literature. Spine. 2004 Oct 1;29(19):E413–425. 43. Seffinger, M.A., King, H.H., Ward, R.C., Jones, J.M. III, Rogers, F.J., Patterson, M.M. Osteopathic philosophy. in: R.C. Ward (Ed.) Foundations for osteopathic medicine. 2nd ed. Lippincott Williams & Wilkins, Philadelphia, PA; 2003:3–18. 44. Slater SL1, Ford JJ, Richards MC, Taylor NF, Surkitt LD, Hahne AJ. The effectiveness of sub-group specific manual therapy for low back pain: a systematic review. Man Ther. 2012 Jun;17(3):201-12. 46. Sutlive TG, Mabry LM, Easterling EJ, Durbin JD, Hanson SL, Wainner RS, Childs JD. Comparison of short-term response to two spinal manipulation techniques for patients with low back pain in a military beneficiary population. Mil Med. 2009 Jul;174(7):750-6. 47. Threlkeld AJ. The effects of manual therapy on connective tissue. Phys Ther. 1992 Dec;72(12):893–902. 49. Young JL, Walker D, Snyder S, Daly K. Thoracic manipulation versus mobilization in patients with mechanical neck pain: a systematic review. J Man Manip Ther. 2014 Aug;22(3):141-53. For a test to be useful in clinical examinations two things are essential: it must have proven reliability and it must be relevant to the condition tested. 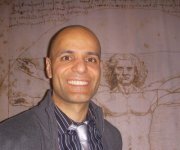 Bahram Jam presents compelling evidence that the technique, segmental motion palpation, has neither. The case he presents is not just his opinion but is based in solid research. Even though it was not backed by good evidence, motion palpation was the cornerstone of patient assessment when I began training in manual therapy. Now, 40 years later, its advocates have still failed to provide evidence for its effectiveness. Continuing with a practice that has no credible evidence suggests that it is based in faith, surely a discipline that belongs in the Faculty of Theology not the Faculty of Medicine. My only disappointment with respect to this article is that it was not written by a faculty member of one of our rehabilitation schools. It is even more disappointing that many of these institutions continue to teach such a discredited practice as motion palpation. It may come as a surprise to many Physiotherapists but the majority of the content in this paper was taught in the Canadian Chiropractic curriculum starting in the late 1990’s…and not surprisingly the information was met with quite a bit of resistance. I was always surprised when my Physiotherapy training almost a decade later failed to acknowledge much of the research that soundly questioned the biomechanical rationale/explanation for manual therapy. It’s normal for individuals to almost feel under attack when the weight of decades of training has said that these outdated concepts are true and necessary to be a good clinician. Instead of feeling like we have squandered our time in training, this is a great opportunity to expand our training. In essence, manual therapy research tells us we can SIMPLIFY. Research tell us that manual therapy is good at treating pain and it is OK to just treat symptoms and sensitivity without the need for unnecessary complexity created by arbitrary and irrelevant arthokinematic justifications. Simplifying manual therapy allows us to develop skills in other areas to manage the multidimensional nature of pain. So skip that level II manipulation course and take a Level 1 motivational interviewing course. Improve your research skills, develop your exercise and movement cueing repertoire and learn more about pain science. You don’t need more techniques. Bahram Jam’s story is similar to many that I have heard but rarely do I see these views expressed in writing. Most importantly Bahram has taken the time to back up his views with literature. This article is worth reading to stimulate both personal reflection and discussion. It is one thing to clinically test ideas for which there is insufficient evidence (something that has not yet been studied enough). It is another thing to continue to do things that have been disproven. There is now enough evidence to support removing motion palpation tests from our assessment processes. I have a list of 45 references to support that statement, and only a few of questionable quality suggesting the contrary. Bahram has brought up some very good points in this article. He has always been a champion of simplifying our approach which has served our profession well. We are physiotherapists first and foremost not just manual or manipulative therapists. We need to embrace a biopsychosocial approach to patient care within the framework of pain science and the neuromatrix. We need to be better communicators and listeners in order to lead and empower our patients to better outcomes. We need to embrace the importance of the therapeutic alliance. In stating this I don’t believe we need to throw the bio out of biopsychosocial. Our understanding of why manual techniques work is not the same as it was 25 years ago when I graduated. The science will continue to evolve and our profession needs to evolve with it. Programs such as the MClSc at Western have demonstrated an ongoing commitment to this with a strong emphasis on clinical reasoning. Manual therapy can be a very effective adjunct to treatment when indicated and should always be used within a treatment plan which also emphasizes active self exercise and good patient education. I do not believe PIVMs or PAMs should be used in isolation on an assessment. It is my understanding that we do currently teach that they are only just one small part of patient assessment used to guide treatment. I do believe that we have moved on from using palpation biomechanics to solely guide treatment. Non-specific or contextual effects of treatment are just as important and need to be embraced. Manual therapy needs to be used in the context of the patient’s mechanical direction of preference and symptomatic response. Reliability studies make me crazy. The power of these studies is consistently ridiculously low rarely above 5 (if you understand that the subjects are the PTs and not the patients) and then the subjects are rarely uniform or even well trained for the level of conclusion made. I also agree with Bahram’s paper that having multiple divisions in the scale of these studies always lead to the conclusion of ineptness in the subjects. I have similar problems with validity studies. In my opinion RCTs are the worse method for studying what we do. We should be using practice-based evidence and not evidence based practice and clinical studies, which rarely follow RCTs, and when they do rarely get published because they are not RCTs. I think manipulation has two effects, mechanical and neurophysiological, while mobilization has only a neurophysiological (but stronger than that of manipulation). For a neurophysiological effect I don’t think you have to worry about the direction or even type of dysfunction (hypo or hyper mobility) just the segment that needs treating and given reflex inhibition that isn’t always the painful segment. But for spinal manipulation I do think you do have to be careful about the type of dysfunction and the direction. Not necessarily for the effect but for safety. By manipulating the worse end feel and setting up the segment properly you can, in my opinion, reduce the risk to the joints that are normal or hypermobile. So far as I know, no study has addressed this issue. That you are predicting that your article will not make it into a peer-reviewed journal is, I think, an appalling statement about the state of the clinician’s place in a world where researchers (who are not always the innovators and bright sparks that you would like leading) rule. The article is much more important than most RCTs in that it brings a contradictory view that starts an important discussion. The problem is that most researchers are unable to engage in that discussion on a sensible level because of impoverished clinical experience. On the other hand the main push back from the clinical community is likely be emotional rather than logical. Keep pushing to have it published Bahram and good luck with that. Bahram Jam has exposed his “incompetence” and “ineptitude” at not being able to feel minute variations in spinal accessory movement in his dialogue on the value of spinal palpation. Rather than being ridiculed for these ‘inadequacies’ or exiled from the Canadian orthopedic community, I expect that he will find that he is in very good company and he will be inundated with others expressing that they too had/have exactly the same thoughts and feelings as to their own ‘abilities’ or lack thereof. I have a similar story coming from my Maitland training in the UK to discovering the difference when I stepped back, observed, listened, reasoned and explored the wealth of information that I gained from the patient’s history and from their movements and responses. I, along with my colleagues across the globe have long ago left the world of assessment via spinal palpation and are much better therapists for it. I cannot be categoric about stating that it is impossible to feel those tiny variations in stiffness and movement or that no-one is capable of achieving it. All I know for sure, is that I can’t feel those things and my colleagues state that they can’t either, and more importantly, the evidence (as Bahram has clearly outlined) is in our favour. As a McKenzie clinician I use manual therapy in the context of the progression of forces and in relation to a confirmed classification, but the procedure utilised and the force applied is in relation to the symptomatic and mechanical response, not to the palpatory feel of the joints or tissues. So I agree that clinician forces have their place in patient management, it’s the role of palpation in the assessment process that should be up for debate. Of course it is our higher academic institutions that are key in influencing the future of clinical practice in our profession; discussing and interpreting the evidence, considering the implications to their instruction of future clinicians. This is where open, free and informed debate is facilitated and encouraged, where community input is sought to make the best decisions to serve the students and the profession. This is where personal biases are put aside so the evidence can be objectively weighed and strategies formulated that will lead our profession forward in an informed and responsible direction so that we can provide the best possible care to the public at large. One can only assume that with all this in mind, our schools would have been at the forefront of having this important debate regarding the use of palpation in the musculoskeletal assessment. So, can we be assured that our future therapists will be well aware of this issue and familiar with the viable alternatives to this controversial practice? You’d better ask the schools that question, let’s hope the answer reflects the degree of objectivity and lack of personal bias that we would all expect. The paper submitted by Bahram Jam is a good summary of the many recent research articles that shed new light on the application of manual therapy. As a clinician who has devoted significant time into the training, learning, and teaching of manual therapy – and contrary to Barahm’s expectation – I agree with many of the points brought up in the research articles regarding findings as it relates to the current status of manual therapy. I do not however agree with how this recent research is being referenced as reason enough to abandon segmental motion palpation as part of a clinician’s skill set. This paper discusses concerns related to the reliability and validity of PIVMs as part of the physiotherapist’s assessment. This information, combined with Barahm’s personal experiences in their application, leads him to abandon focusing on biomechanics and motion palpation tests. Physiotherapists however don’t merely rely solely on use of PIVMs; research has shown that the application of motion when clustered with pain measurements and questionnaire findings provides the highest diagnostic value to identify neck pain patients needing treatment 1. 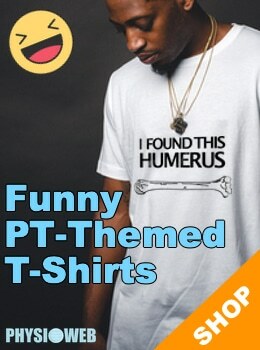 Additionally, research recommends clustering of manual spinal resistance to motion (normal vs. hypomobile, etc…), palpation of segmental tenderness and ROM findings as a way to identify patients who have cervical facet joint mediated pain (when compared to the reference standard of medial branch block) and identifying patients best suited for diagnostic facet joint blocks 2. Recent research has noted that abnormal passive physiological spinal motion is a significant predictor of functional outcome at 12 months for chronic or recurrent low back pain 3 and patients without comparable signs (pain, etc…) on passive physiological examination of the cervical and lumbar spine demonstrate a lower rate of recovery 4. The conclusion section of the paper deserves discussion based on the view that “the majority of manual PTs appear to be refusing to accept evidences disproving manual motion testing.” It struck me as divisive to partition the physiotherapy profession into subgroups of ‘manual’ vs perhaps ‘non-manual’ PT’s when using manual testing and manual treatment techniques is a core facet of the profession; regardless of one’s chosen area of practice. Now it is true that individuals in the profession will take courses where manual therapy is a focus, and some of these courses are within internationally recognized systems which provide the opportunity to further improve one’s clinical skill set (both practical application and clinical reasoning) and contribute to statistically greater patient outcomes 5. Some of these systems teach “therapist selected” manipulative techniques, and contrary to Barahm’s stance there is recent evidence that therapist- selected manipulation based on motion palpation is superior to randomly-selected manipulation in regards to patients global rating of change in both short and long term 6. 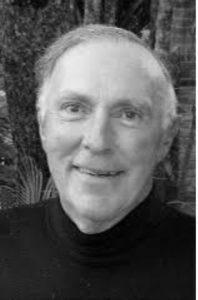 Where I agree with Barham’s statement in the paper that clinicians should incorporate the bio-psycho-social and neuromatrix model of pain, applying manipulative techniques that promote positive patient self-perception is of important clinical relevance. If the past leaders of our profession did not fully understand manipulation (and research still suggests gaps in our knowledge), then how can we be so bold to state that we understand manual therapy well enough now to abandon segment motion palpation when it still shows worth. By promoting the retention of segmental motion palpation I’m not saying you need to consider going through a stage of having to “feel” everything, because the evidence doesn’t support that. But there is recent evidence of the benefits of therapist use of motion palpation for diagnostic purposes within clusters, application for prognostic purposes, and transferring assessment findings into therapist selected manipulative techniques. Simply because assessment and treatment interventions do not enable the actions our past leaders intended does not mean we should abandon them, especially when research suggests that their worth may lie in different directions ….. is that not the definition of professional growth? 1. De Hertogh WJ1, et al The clinical examination of neck pain patients: the validity of a group of tests. Man Ther. 2007 Feb;12(1):50-5.2. Schneider GM, et al Derivation of a clinical decision guide in the diagnosis of cervical facet joint pain. Arch Phys Med Rehabil. 2014 Sep;95(9):1695-701.2. Schneider GM, et al Derivation of a clinical decision guide in the diagnosis of cervical facet joint pain. Arch Phys Med Rehabil. 2014 Sep;95(9):1695-701. 3. Haxby Abbott J, Kingan E. Accuracy of physical therapists’ prognosis of low back pain from the clinical examination: a prospective cohort study. J Man Manip Ther. 2014 Aug;22(3):154-61. 5. Rodeghero J1, et al The impact of physical therapy residency or fellowship education on clinical outcomes for patients with musculoskeletal conditions.. J Orthop Sports Phys Ther. 2015 Feb;45(2):86-96. I greatly thank the editorial commentators; however I feel obligated to respectfully respond to Troy Seely, PT. With reference to the Donaldson et al paper (2016) the study found NO difference between the two groups with respect to pain or disability in the short or long term. Where Mr. Seely is correct is that the global rating of change was superior in the group receiving therapist selected manipulation, however the authors admit that this benefit may have been be due to greater perceived accuracy in evaluating. The fact is that when patients feel that they are precisely being evaluated with palpation, it can undoubtedly increase the placebo effect of any manual therapy provided. Therefore, as stated in my paper, I continue to palpate, however I do this for pain reproduction and as assurance to my patients that I am doing everything in my power to search for, find and treat the pain. With reference to the Haxby Abbott et al paper (2014) they admit that the validity of passive physiological flexion predicting chronicity was weak. This loss of flexion PIVM may simply be related to fear which is a strong prognostic factor. We can all agree that research must continue but we must stop beating a dead horse and move on.